Don' t let negative energy bring you down! 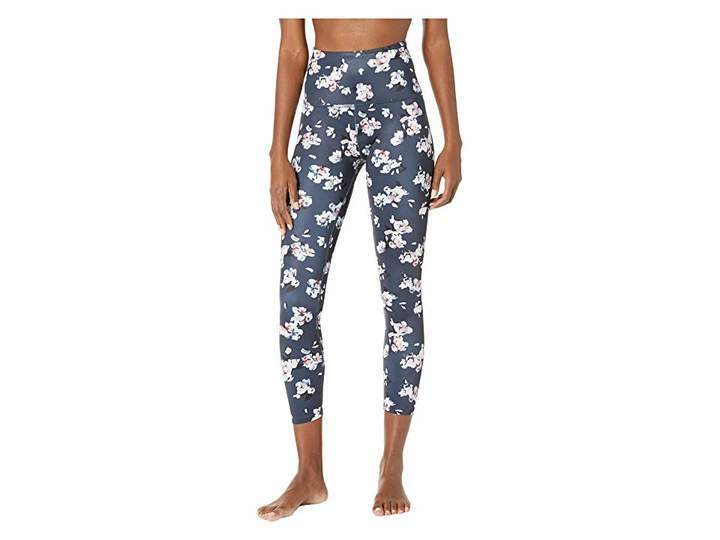 Stay positive in the sleek high-performance Beyond Yoga High-Waisted Midi Leggings. 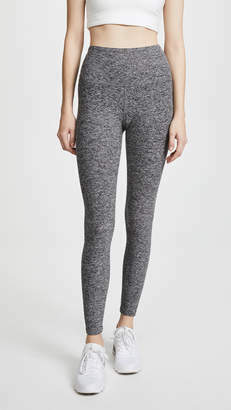 High-rise midi-length leggings are fitted to hug the body while still leaving room for movement. Lux Print Performance fabric : • Breathable poly-stretch fabric with allover prints for standout style. • Moisture-wicking technology draws perspiration away from the body and towards the surface where it can evaporate. • Four-way stretch enhances comfort and allows a wider range of movement. No outside seaming for reduced irritation and chafing. Wide elastic waistband with Supplex lining. Brand logo hit at center back. 82% polyester 18% spandex. Machine wash tumble dry. Made in U.S.A. Measurements: Waist Measurement: 22 in Outseam: 35 in Inseam: 25 in Front Rise: 11 in Back Rise: 14 in Leg Opening: 8 in Product measurements were taken using size SM (US 4-6) inseam 25.